For over a hundred years IKO has produced innovative solutions for flat roofs, pitched roofs and the waterproofing industry. specifiers, installers and building owners alike rely on IKO's proven technical expertise for new build and refurbishment projects, throughout all industry sectors. IKO's continued investment in UK manufacture ensures that we can provide you with roofing and waterproofing solutions that meet increasingly stringent performance and design requirements. 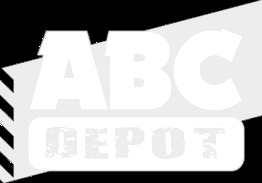 Copyright © 2019 ABC Depot. All rights reserved.